Last year, I had the chance to check out Northern Worthersee in Frankenmuth with my friend Sam. For those of you who don't know, Worthersee is a lake in Austria. 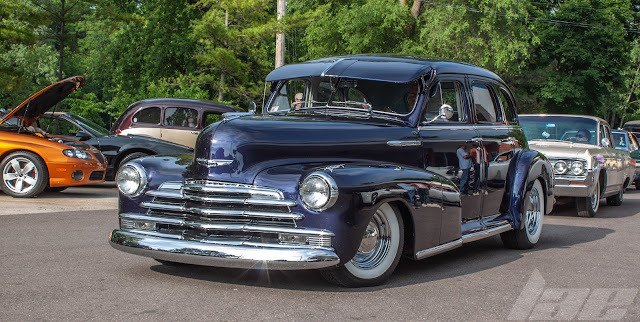 Every year, there's a HUGE Euro car show on the shores of the lake. 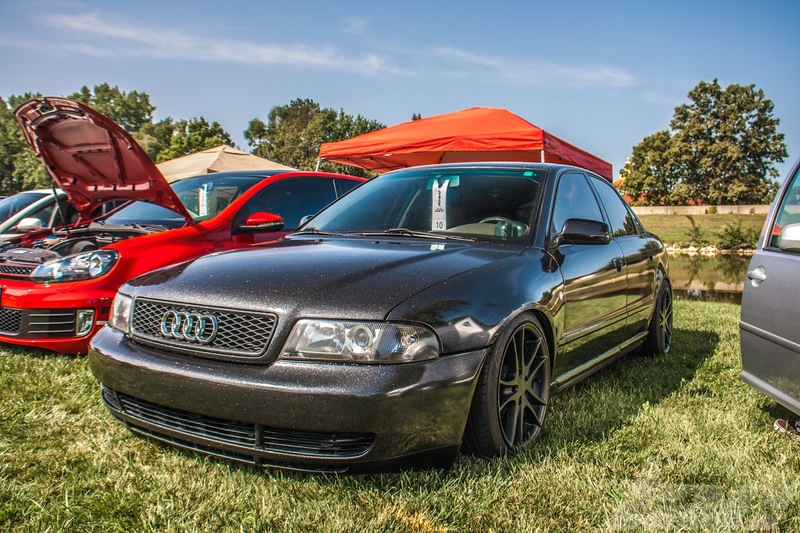 Audi, one of several brands under the Volkswagen Auto Group umbrella, had a very strong showing this year. 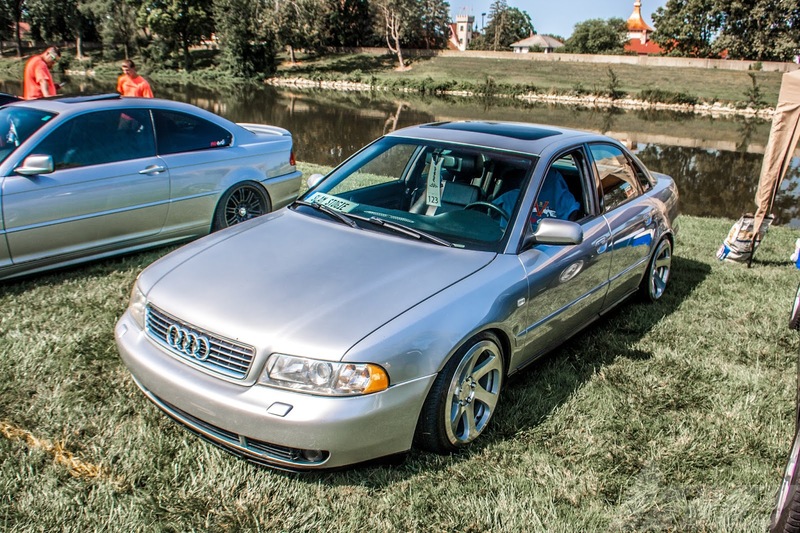 There were completely stock vehicles, bagged cars and cars sitting low and static on coilovers. This example was absolutely slammed, and static at that. 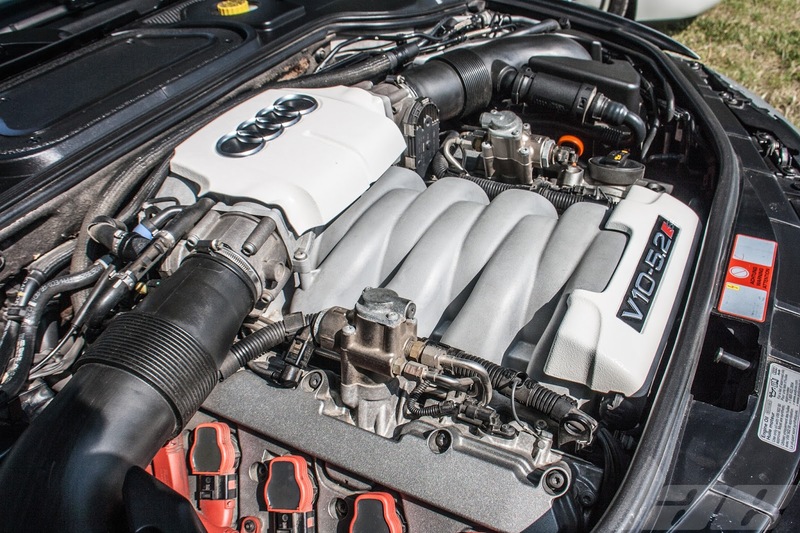 Audi guys have mastered the art of the tuning style known as "OEM+". Simply adding wheels, bags or coilovers and thats it. Sometimes a roof rack, but not always. Others appeared to be OEM+, but had a bit more grunt under the hood...or in this case, in the engine bay. Some of the Audi's there were a bit more rare. 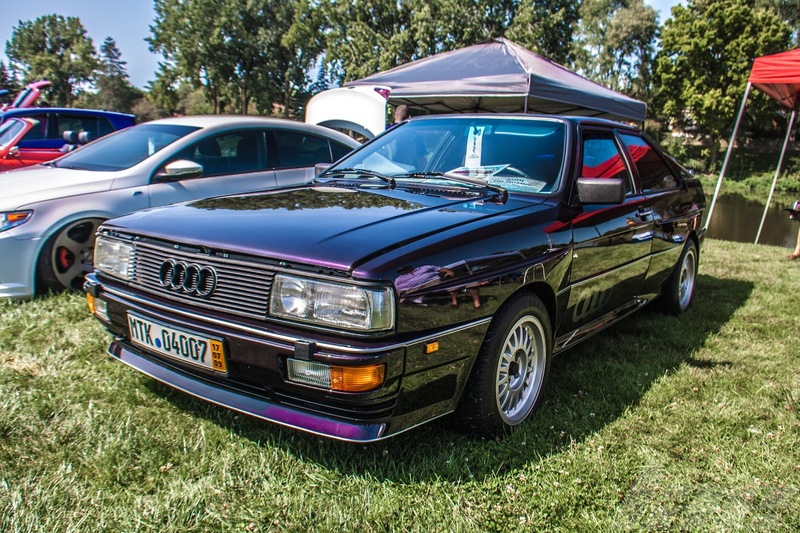 This Quattro coupe was one such example. The color is awesome as well. I have a bit of a thing for wagons that have a version with raised ride height and a general off-road appearance. 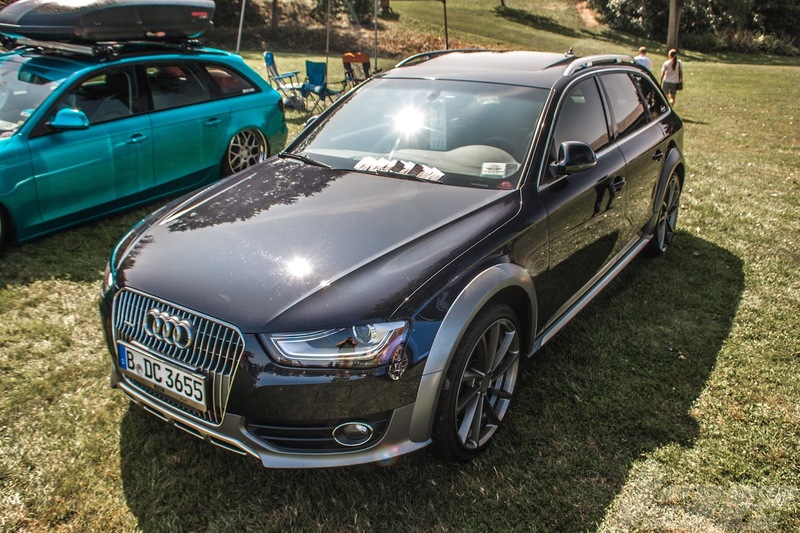 The AllRoad is one of those. 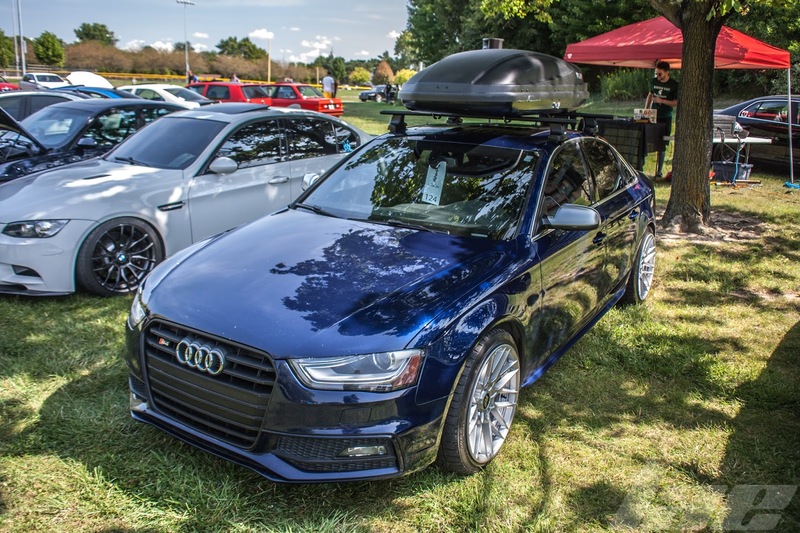 Another example of OEM+, with a bit more extensive upgrades including what I'm assuming is a vinyl wrap, as well as a roof box and LED light bar. As good as the Allroad looks in stock form, it looks just as good in Beach-Cruiser form. I have to admit that seeing lowered Avants on Speedhunters and Stancenation made me want to lower my forester. 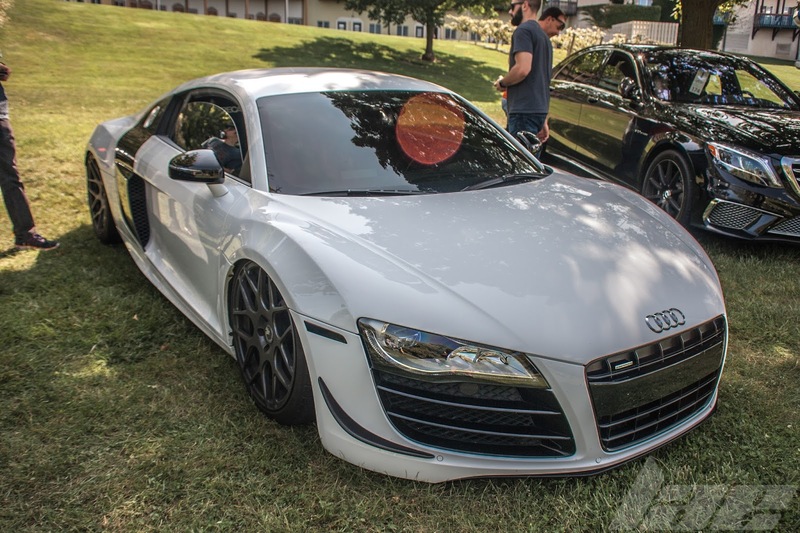 This R8 is, in my opinion, the closest thing to a successor to the legendary Quattro S2, and big brother to the TTRS. Another common thing to see on VAG cars is interchanging wheels from VAG's other brands. 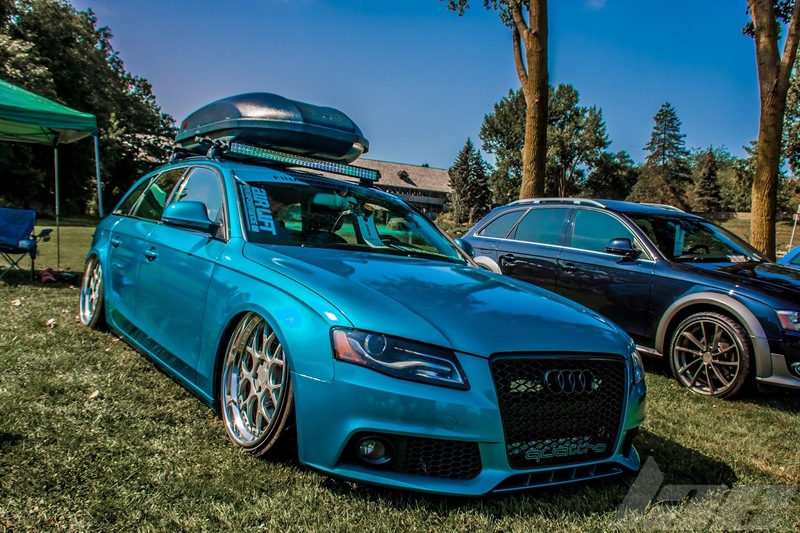 This Allroad is wearing a set of Bentley Continental wheels. The event had several smaller events, including the Low Car Limbo. 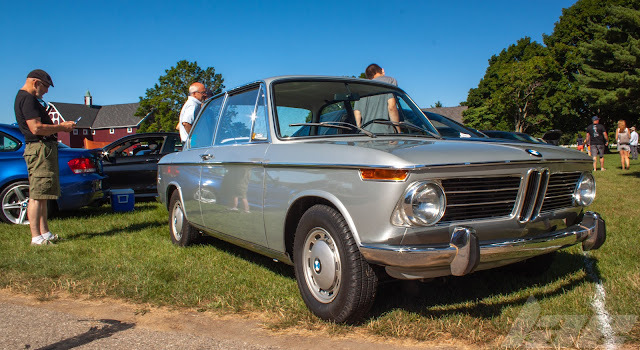 This car, which you saw above, did well in the Static class. Keep your eye on my youtube channel over the next month or so to see the video. Thanks for watching. Like always, check back often for more content.